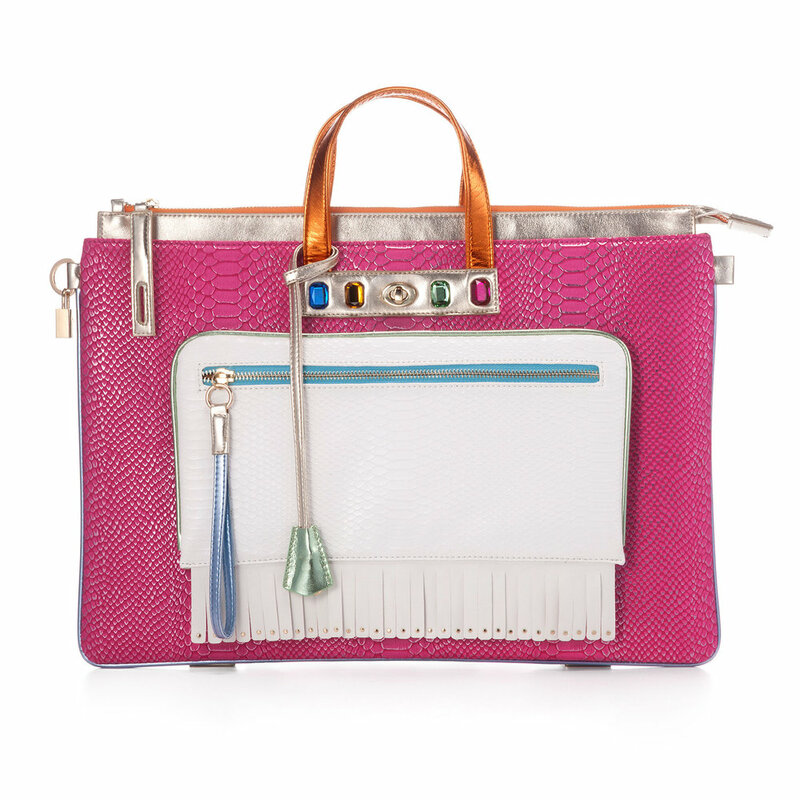 FruitenVeg is a non leather luxury bags label based in NYC, specializing in whimsical handbags both fun and practical. 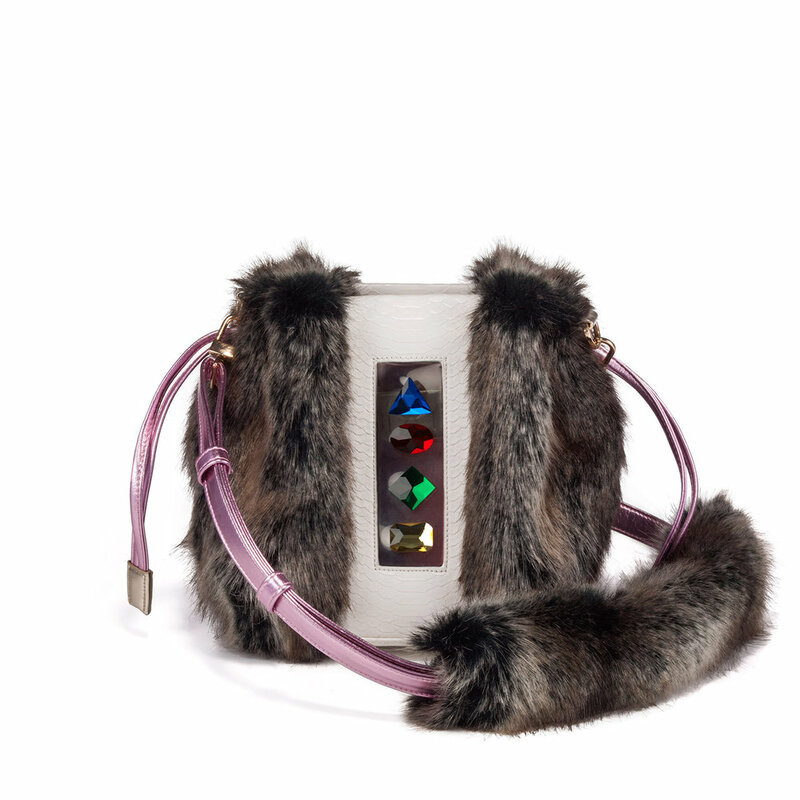 With playful combinations of exotic faux leather, fluffy faux fur, unique prints, colors and textures, we challenge the traditional materialistic concept of luxury goods. Color is used vibrantly and adventurously to produce statement pieces that complete a uniquely fun and fashion forward look.